Many people believe it’s all about the little things when it comes to love and that romance should be elegant, (think the Obamas rather than Kimye). 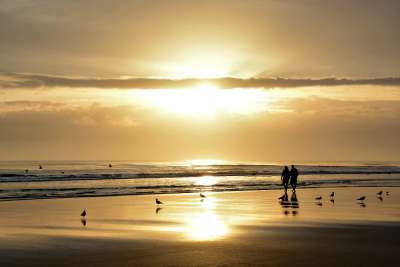 So, on that note, with Valentine’s Day fast approaching, we’ve sought out 10 understated destinations with a subtle romance that is nothing short of lovely. Forget the crowds, the usual tourist-trail and cliché sights, these destinations are classic, intimate and well worth visiting with someone special! With its palatial architecture, rolling hills and beckoning coastline, everything about Andalusia whispers romance and the capital, Seville, is no exception. 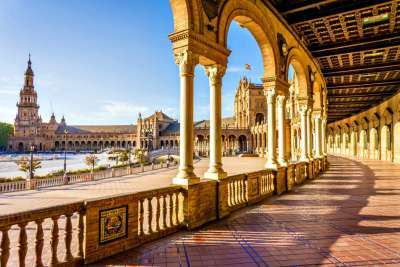 This charismatic, good-looking city basks in golden sunlight for most of the year, and has a flirtatious personality with flamenco dancing and grand Moorish architecture. After sunset, sip sangria and sample tapas under the stars at an al fresco restaurant. 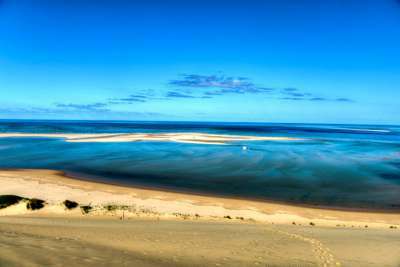 A tourist-free coastline, well-preserved corals and remote archipelagos mean that Mozambique has the power to conjure up emotion, even in the most cynical of visitors. 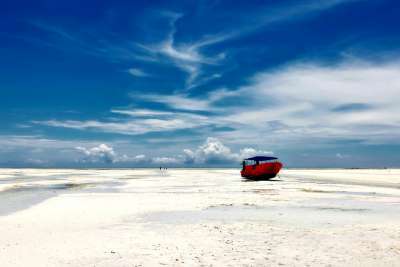 An explorer's haven with a fascinating culture, remote stretches of sand and honeymoon-esque scenery, there's always something to do and see. Add in colonial-style architecture, a musical nightlife and vast expanses of African greenery, and you've got a recipe for love. Away from the themeparks, Florida's peninsula is a spellbinding concoction of sandy beaches, warm waters and mysterious mangroves. Sun-filled days of swimming, seafood and sunsets are on the cards and the sugary-sweet, carefree atmosphere lends itself well to romance. After a day at the beach, head to one of the dockside restaurants for seafood with your special someone. 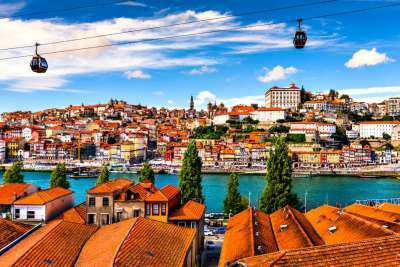 While the masses flock to Lisbon, Portugal's second city, Porto, has charm oozing from every pore. With colourful, higgledy-piggledy buildings clustered together beside the waterfront, it boasts scenery straight from a fairytale. Take a wander among mesmerising churches, sip on port wine, and head to one of the lookouts for panoramic views across the city. 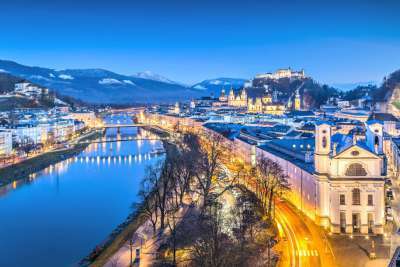 With a mountainous backdrop dotted with palaces, it's not hard to see why this lush Austrian city has been dubbed romantic by those in the know. Exuding an elegance that almost makes you want to tread daintily on its pristine streets, expect a flourishing arts scene, delicious food, manicured parks, classical music and plenty of inviting side streets. If exploring takes its toll, sip a coffee at one of riverside coffee shops and soak up views of the Eastern Alps - heavenly. Looking for paradise? Look no further. Zanzibar boasts long pearly-white beaches, glamorous yet inexpensive beach huts, and a magical culture that's impossible not to embrace. Here you can dip your feet in crystal-clear waters, escape the crowds and see uber-cool tribal locals chilling by the beach. There's top-notch diving, a diverse choice of beach resorts and romantic spots aplenty. Prepare to fall in love. Forget Florence. 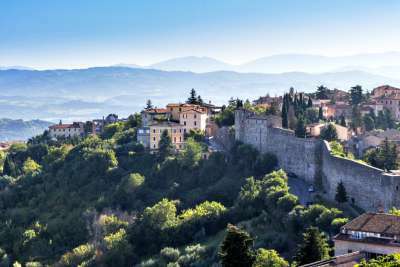 Escape the masses at Umbria's petite capital instead. Perched on a hill and overlooking a patchwork quilt of fields, this city is a romantic maze of cobbled alleyways, inviting stairways, historical architecture, and awe-inspiring mansions. When it comes to dining expect magical settings with castle restaurants, quiet al fresco eateries and medieval buildings. 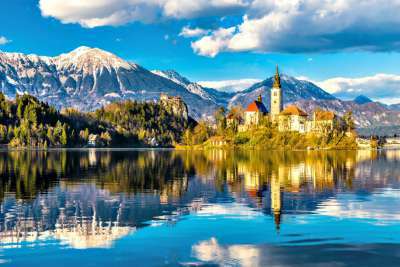 Often overlooked for its European neighbours, Slovenia packs a punch when it comes to scenery; offering snow-capped mountains, turquoise rivers, rustic architecture and rolling greenery. Pretty much everything lends itself to romance - from magical caves, to idyllic Lake Bled and fairytale forests. This is a country that you could happily spend weeks exploring with your number one. 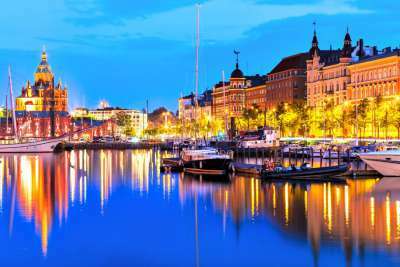 Finland's harbourside capital sits grandly beside the Baltic's bays, inlets and islands and is a smorgasbord of trendy artists, spotless boutiques and intriguing backstreets. Historic art-nouveau buildings line the streets with vintage wine bars and avant-garde restaurants luring couples through the doors. You may also want to take a moonlight stroll through the lovely Esplanadi Park - where you will find some aptly named 'love seats'. 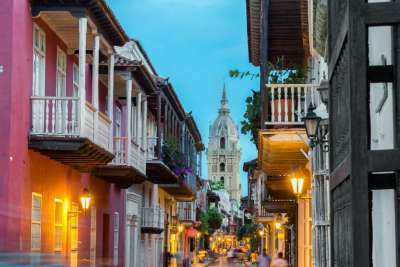 Located on the Caribbean coast, Colombia's city of Cartagena is a place of romance, legends and sheer beauty. Away from the postcard beaches (which you could happily spend days on) the Old Town, an UNESCO World Heritage site, is a beckoning labyrinth of cobbled alleys, flower-filled balconies, tiny churches and splashes of colour. There is no denying the sensual atmosphere; this is a city designed to be walked through and enjoyed at a leisurely pace with your love.